Kaya is a dynamic Occupational Therapist who is driven to find the ‘key’ to unlock every child’s unique abilities in order to achieve success in life. 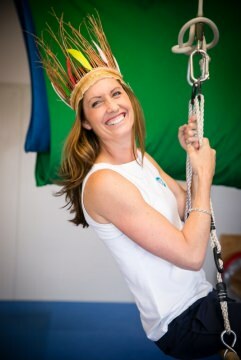 Kaya is the director of Active OT For Kids and sets exception as her norm. She has extensive training and experience working with children with autism, trauma, physical disabilities, genetic disabilities, emotional and behavioural disorders, global developmental delays, and specific learning difficulties. Kaya’s professional skills provide a platform for her to work with babies through to adolescents with complex needs. She values the importance of play, attachment and being active. As a mother of three children she also understands the constant challenge to find balance in life.